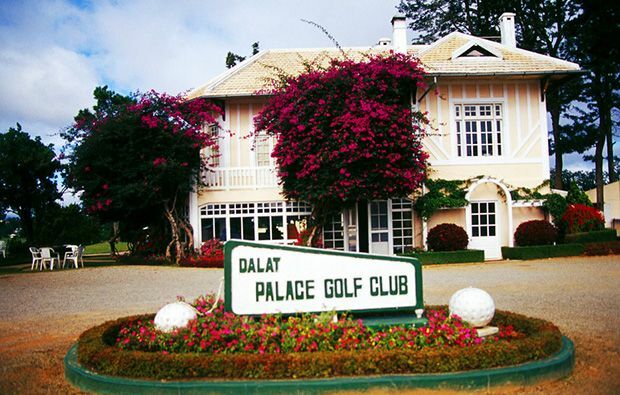 Dalat Palace Golf Club has a long history, dating back to its inception in 1922 and including being revived twice following abandonment following the Second World War and the Vietnam conflict. Following US investment, it finally took on its current form in 1994 and is deservedly ranked amongst the very best courses in the country. 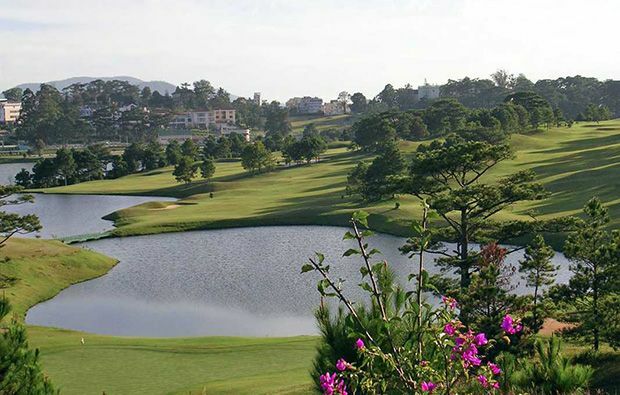 Situated some 5000 feet above sea level, the course benefits from a cooler climate that allows the use of bent grass on the tees, fairways and greens – for many, this is the ultimate surface on which to play golf, and the only course in South East Asia to use it. With water featuring on over half of the holes and plenty of well-placed sand traps, there is plenty to test the lower handicap golfer intent on taking on the course, while the high-handicappers can find some relief in the wide, open fairways and greens that allow run-up approach shots. If you can overcome the numerous elevations changes and reach the greens in regulation, par is never guaranteed thanks to the extreme pace of the putting surface. There are some tough holes here that will test your skills with all the clubs in your bag. The front nine features a particularly tricky sequence of holes: at the par-3 5th, your tee shot must carry 230-odd yards over water to reach the green, and on the par-5 6th, it’s all about accuracy with water all the way down one side of the narrow fairway and out-of-bounds on the other. If all that wasn’t enough, at the par-4 7th you can either try to carry two lakes from the tee or play it safe from the tee but leave yourself a long uphill approach. The original clubhouse, built in 1956, has been fully restored and contains spacious locker rooms, a well-stocked pro shop and a restaurant serving local and international fare with views from the clubhouse patio of the terraced rice fields and the pine forests that cover the mountains. 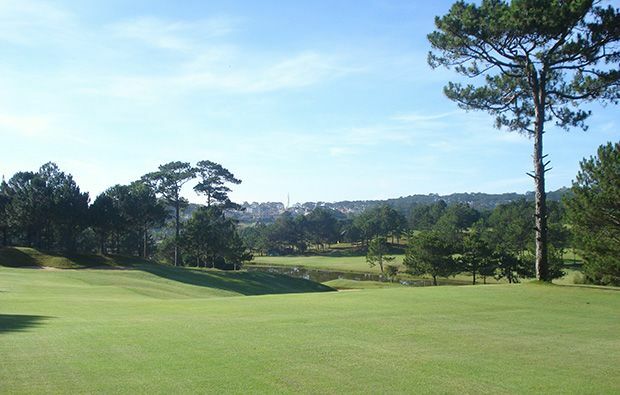 Given the challenge that you now know lies ahead, it’s probably worth taking advantage of the on-site practice facilities that include a grass driving range, putting green and practice bunkers; be warned that even these bunkers won’t fully prepare you for the unique challenges posed by the deep pot bunkers on the 15th fairway, which you are well advised to steer well clear of. 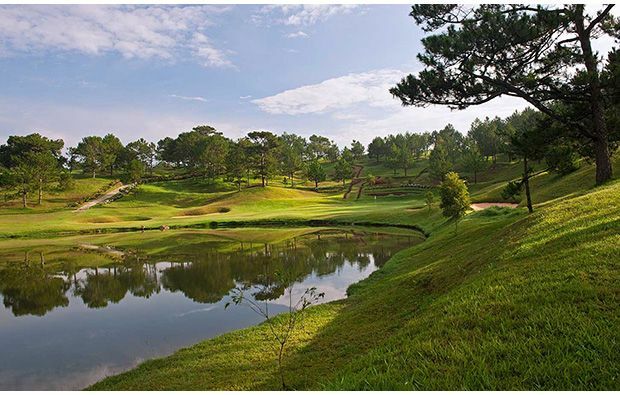 All of this adds up to an impressive package, and it is no surprise to learn that Dalat Palace Golf Club has repeatedly been voted the top course in Vietnam by Golf Digest, and in the top ten in Asia by Asian Golf Monthly. Highly recommended. This is a very popular little course so you would be advised to book a tee time in advance to be sure that you get the chance to experience this unique and historic golf course. 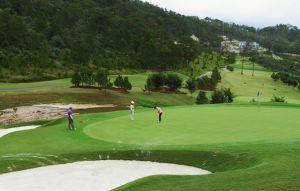 Dalat Palace Golf Club has different Services to offer. Choose a date and number or players to see the rates.